Whenever I want something so badly that I can’t trust my own heart, I ask God for a Brick Wall. We tend to seek God’s will in a way that implies we need to take action, but what if it’s inaction that puts us on the path God asks of us? Not all decisions are black or white, good or bad. Sometimes something that appears good can be placed in front of us, but not all good things are part of God’s plan for our lives. Let me be clear, there is no “magic prayer” that can keep us from making the wrong decision. I would also like to clarify that this is something that helps me when I am faced with a decision and my own desires are preventing me from thinking clearly or even caring if what I want is in God’s plan for me. God knows what he's doing. Sometimes I forget, but he has a plan. I struggle with figuring out what that plan is most of the time, but one step I will never leave out is the Brick Wall Prayer. God knows my heart. He knows what I desire. He wouldn't withhold something out of spite. He has plans to "prosper [me] and not to harm [me], to give [me] a hope and a future" (Jeremiah 29:11). I challenge you to take this prayer, mold it to fit your own life, and see how it changes your perspective. God, you know me better than I know myself. You know my fears and my desires. You know how much I want this. You know how much I will be devastated if this doesn't happen. I know you love me. I know you have a plan for me. 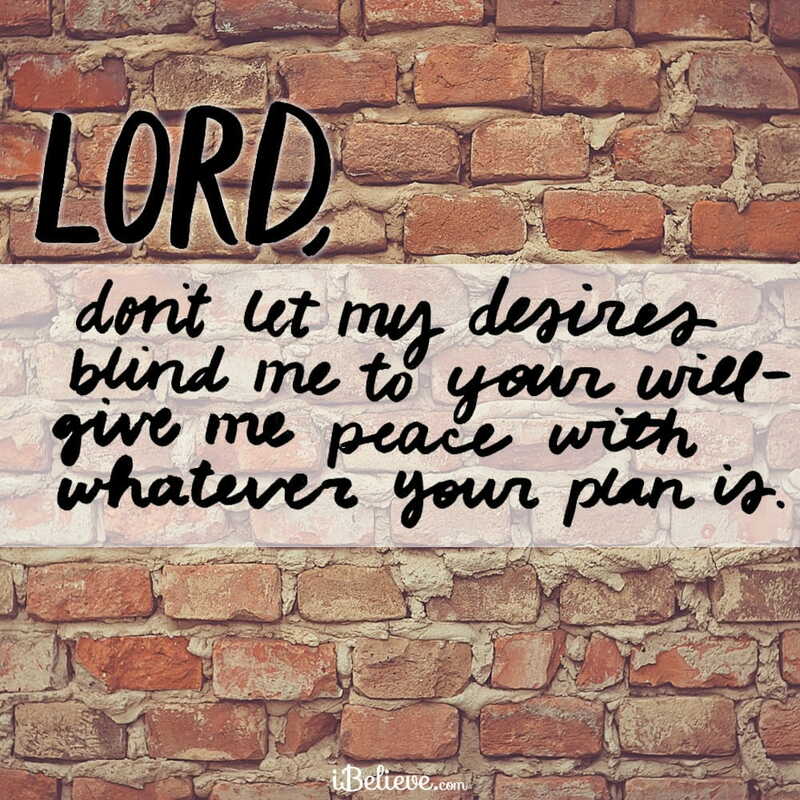 Please, Lord, don't let my desires blind me to your will. If this is not within your plan for me, throw up a Brick Wall. Give me an obstacle I cannot get past. Help me follow your will, Father. Give me peace about whatever is to come. If this falls through, I will know it is your hand.